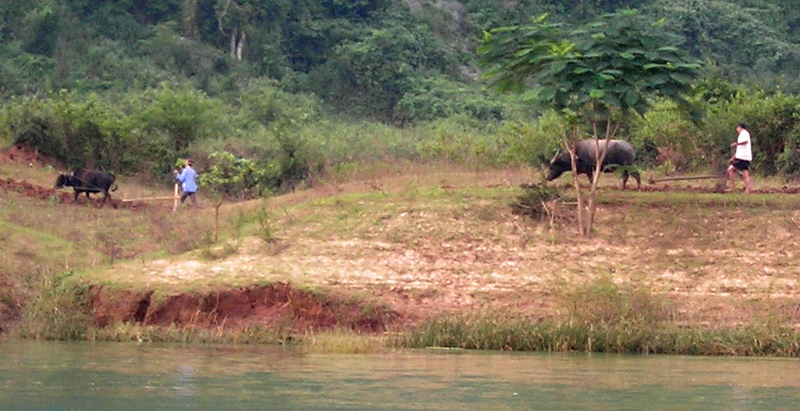 Water Buffalo Working Near Phong Nha. The couple who own the local Vietnamese market stay in the shop from open to close, six days a week. “I’m working like a dog,” Nguyệt said to my husband as we checked out. “You mean like a water buffalo,” my husband corrected. 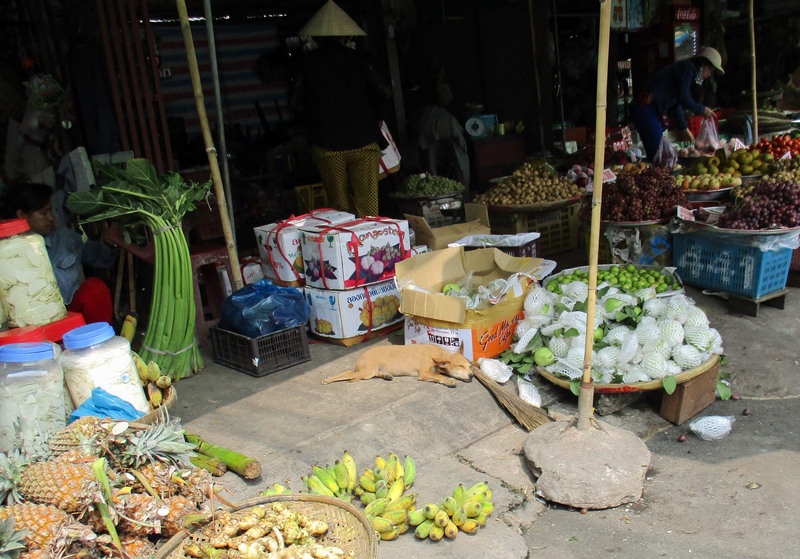 Dog sleeping at an outdoor market in Cà Mau. Curious, I asked my husband what other sayings there are in Vietnamese for dog. There’s ‘bark like a dog,’ if you’re scolding people and don’t know when to stop. And there’s ‘don’t treat me like a dog.’ There’s also ‘born of a dog’ for people who don’t have manners. “How about sayings about other animals?” I ask. “What about something like ‘smart as a fox’?” I ask. 7 April, 2018 in Language.